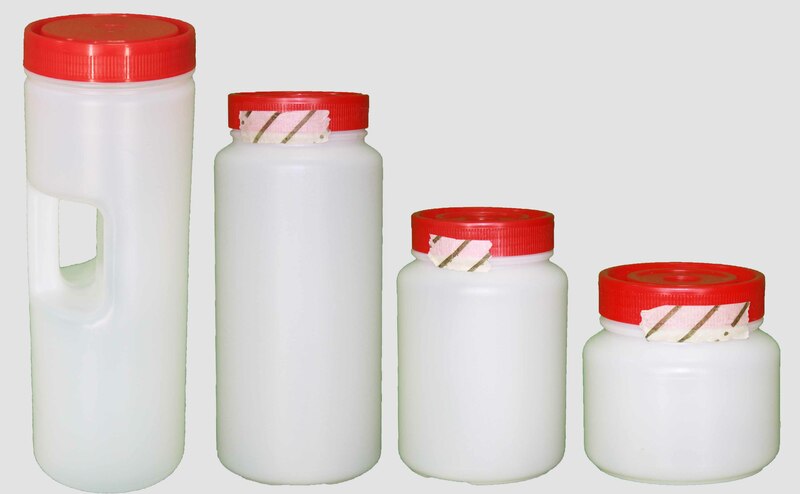 Sterilized containers for the collection all type of hospitals, industrial, water, and food samples. Manufactured in high natural density Polyethylene, with red cover of the same material, with system of closing assured by the incorporate choke. In 5 sizes of 135 mL, 250 mL, 500 mL, 1800 mL and 2000 mL. Sterilized and with a seal with strips of dark color which guarantee their pass for the sterilizing apparatus. Without any mark in their standard format, although You could incorporate, under order, any type of impression, including the possibility of white ink could be written with pen or marker, for a correct identified of the patterns.